Zip front mini dress and head piece. 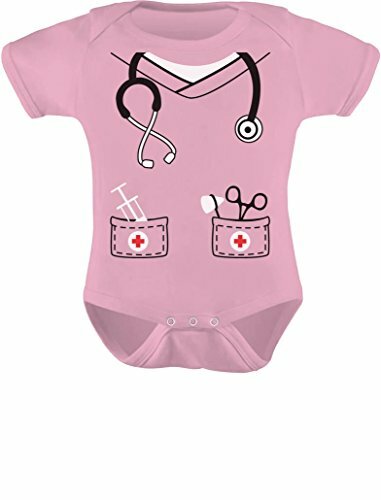 Your little doctor-to-be will be ready to go with these miniature kids' scrubs made in Pink, Green or Blue. Made of 100% cotton fabric and machine washable. The pants have an elastic waistband with faux drawstring to allow for comfort without sacrificing authenticity. 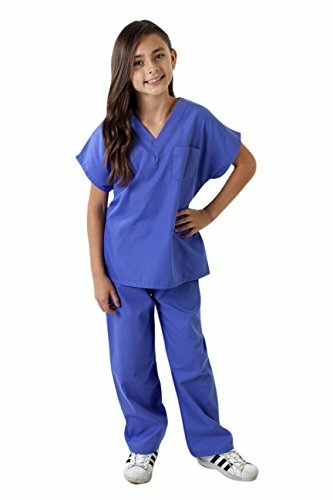 The top has a v-neck to look just like real scrubs. The 2 button snap closure on the shoulder makes for easy and effortless changing. 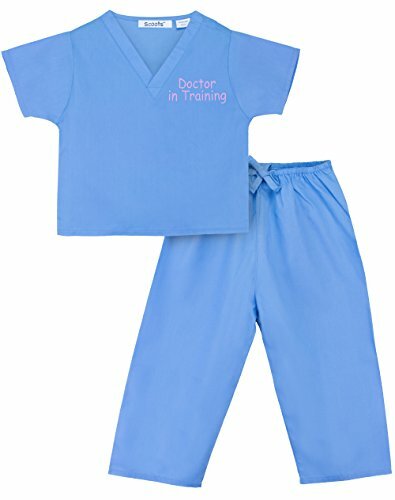 Shirt is embroidered with "Doctor in Training".